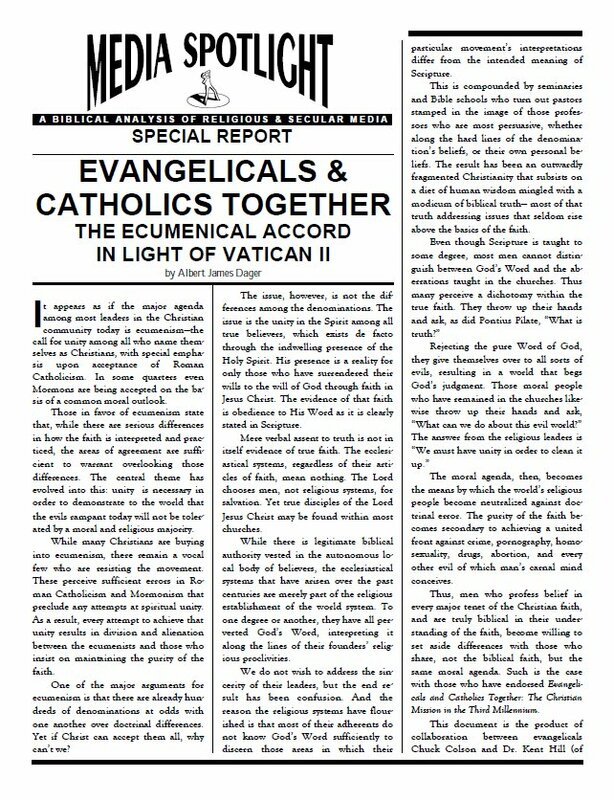 As recently as twenty years ago it would have been unthinkable that the vast majority of evangelical leaders would openly espouse unity with the papacy. Today, under the excuse that Christianity must work to evangelize the world in order to eradicate evil and institute a moral and just society, sound doctrine is taking a back seat to political and social action. This has led to reticence within evangelical Christianity to separate from unrighteousness of the most deceptive kind. It is now not only fashionable, but desirable, that Christians of every persuasion work hand-in-hand with Roman Catholicism and even, in some cases, Mormonism, in order to accomplish what is perceived as a mandate from God to institute godliness within society. This report exposes the selling out of the Faith for moral expediency. 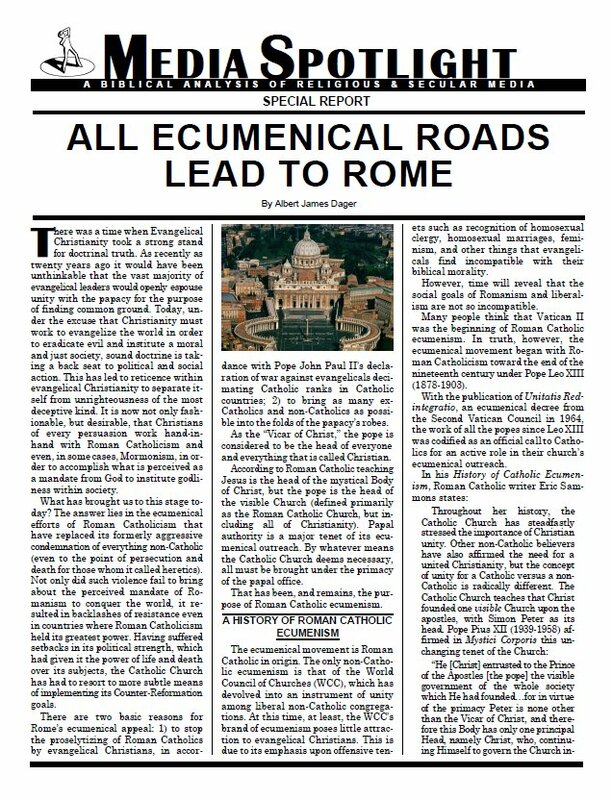 It appears as if the major agenda among most leaders in the Christian community today is ecumenism the call for unity among all who name themselves as Christians, with special emphasis upon acceptance of Roman Catholicism. In some quarters even Mormons are be ing accepted on the basis of a common moral out look. Those infavor of ecumenism state that, while there are serious differences in how the faith is interpreted and practiced, the areas of agreement are sufficient to warrant over looking those differences. The central theme has evolved into this: unity is necessary in order to demonstrate to the world that the evils rampant today will not be tolerated by a moral and religious majority.